The recent crash in cryptocurrency prices had many investors upset, but the stock for AMD and NVIDIA is on the rise due to high sales of GPUs to power Ethereum mining. Cryptocurrencies across the board plummeted in value after a record month in December, leaving many crypto enthusiasts on edge. For investors in NVIDIA and AMD, however, things have never been better. A note on Tuesday from Morgan Stanley analysts reports that Ethereum prices have still remained high overall despite the recent crash, growing around 8900% over the past year. Even with the drop, the profitability of Ethereum mining has climbed over 200% since October, according to analyst Joseph More. It remains one of the highest performers overall and is quickly catching up to Bitcoin in terms of market cap, and the potential for profit has driven more and more individuals and organizations to Ethereum mining. Morgan Stanley estimates regarding the profitability of Ethereum mining suggest that miners earn around $1.76 per day with each GPU owned. Fortune reports that this is a pretty sizeable increase from the 56 cents back in October. These figures assume that the miner is using an AMD Radeon 580 and pays around 70 cents per day to power the electricity. These figures may seem very low and not worth the time, but when you consider that entire organizations have cropped up in order to take advantage of Ethereum mining, the only real limitations to the process are the supply of graphics cards. And it turns out that the supply is an issue after all. Much to the chagring of gamers that are trying to get their hands on a GPU to play their favorite games, most of the high-end cards on the market have been snatched up by individuals or companies that are looking to turn a profit on Ethereum mining. NVIDIA has even gone so far as to suggest that retailers only sell to those looking to use the cards for gaming, as they were unable to keep up with demand. Although the lack of stock is concerning, the sales for both NVIDIA and AMD were higher than anticipated and that was reflected in the companies’ stock. Based on the increased profitability of Ethereum mining and the flurry of sales that accompany this untapped potential, Morgan Stanley raised its estimates for Q1 2018 to $2.81 billion for NVIDIA and $1.43 billion for AMD. Second quarter estimates were even better, with expectations of $2.55 billion for NVIDIA. Sure enough, the stocks of both AMD and NVIDIA both rose 2% during trading on Tuesday. Despite the boost in sales for AMD and NVIDIA due to Ethereum mining, there are some problems with sustainability when it comes to this avenue of revenue. 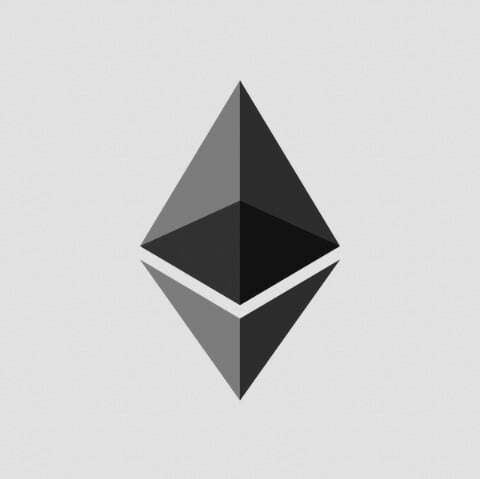 Due to the climbing prices of high-end GPUs, the potential profit for Ethereum mining continues to decrease as time goes on, resulting in a certain point where the mining won’t be worth the initial investment. Cryptocurrency is also incredibly volatile, with prices spiking and crashing almost daily. While the profit of Ethereum mining has increased overall when compared to the last year, there’s always the possibility that a crash will erase any profits which could spell the end for NVIDIA and AMD’s boosted sales. Also worth noting is the potential of governments to have an effect on cryptocurrency mining in general. A recently leaked document from Chinese officials suggested that they would soon crack down on currency mining within the country, which is a problem for many large Ethereum mining corporations, as many call China home due to the low costs of utilities. Outside of regulations specifically affecting Ethereum mining, the hesitation of traditional financial institutions to embrace the world of cryptocurrency has led to some decisions that have impacted the price of these coins across the board, such as strict regulations from Korea that restrict access to currency trading. “We are raising estimates meaningfully for both graphics vendors, but sustainability is a long-term issue especially for AMD,” said Morgan Stanley analysts on Tuesday. Whether or not these profits are here to stay is worth consideration, but at least in the short term, AMD and NVIDIA stock prices are set to rise – largely due to the influence of Ethereum mining. Provided the companies can ramp up production and keep both gamers and miners satisfied, we could see a significant period of increased sales for the GPU manufacturers. Only time will tell if Ethereum mining will continue to be a profitable endeavor, and the success of the mining will make or break the stock increase for the two main graphics card manufacturers.